Authors: Ksembaev S.S., Torgashova O.E., Ivanov O.A. 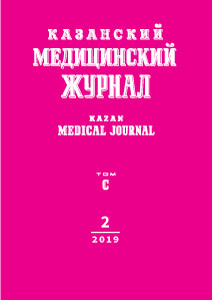 The article highlights the main stages of formation and development of the Department of maxillofacial surgery and surgical dentistry of Kazan state medical University in 80 years of its activity. The article presents the information about the employees of the Department, starting from the first head of the Department associate professor I.M. Utrobin, the main directions of scientific research conducted under the leadership of the heads of the Department, the results of teaching, research and medical work. Special attention is paid to the achievements and contribution of the department staff to the clinical practice and work of the basic department of maxillofacial surgery in Kazan. The history of higher dental education in Kazan and training of specialists is inextricably linked with the activities of the department, whose representatives have made a significant contribution to the development of the national scientific school of dentistry and practical health care. The study of the history of maxillofacial surgery and surgical dentistry in Kazan, the study of ways and directions of its development, the study of the activity of the heads of the department, their achievements and scientific schools created by them, have traditionally been of interest not only among historians of medicine, specialists of surgical dental profile, as well as students of dental faculties, who decided to devote themselves to maxillofacial surgery or surgical dentistry. Today we are deeply grateful and proud to honor the memory of our teachers and predecessors, those who created Kazan dental school in the period of its formation and rapid development from the beginning of the 20th century to the present day by their glorious work and scientific discoveries. кафедра челюстно-лицевой хирургии и хирургической стоматологии, челюстно-лицевая хирургия, хирургическая стоматология, этапы развития, история, юбилей. © 2019 Ksembaev S.S., Torgashova O.E., Ivanov O.A.